Thanksgiving is all about family and an inviting home to come to. That’s why Montana Capital Car Title Loans offers new and returning customers a $100 EGift Card at the Pottery Barn. This way, your house gets to be even more inviting. To claim this limited time offer, call our office at (877) 751-2825. Your coupon code for this offer is HP100. Terms & Conditions: Offer expires on 11/23/18 at 11:59 PM. You must present this message, in print or webpage form, during your loan appointment. Loan approval is not guaranteed and subject to meeting our credit criteria, which includes of acceptable property as collateral. You must demonstrate to repay the loan. Coupon can be redeemed only once and is non-transferable. You cannot redeem multiple offers. 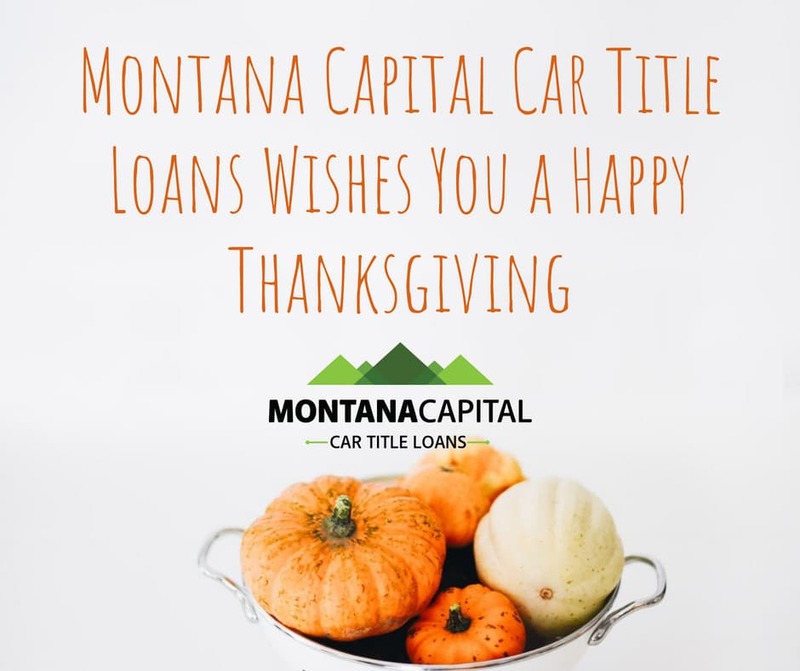 Montana Capital offers loans only in the State of CA, Loans made or arranged pursuant to California Department of Business Oversight Finance Lender Law License 603F508. The APR for a typical $2600 loan is 120.656% with 36 payments of $270. Offer is available for new and returning prospects only. *$100 Pottary Barn eGift Card: Only qualified applicants who receive a loan at a minimum amount of $2600 can redeem the offer. A $100 E-gift card will be sent to the email address provided by the qualified applicants at the time the loan is funded.